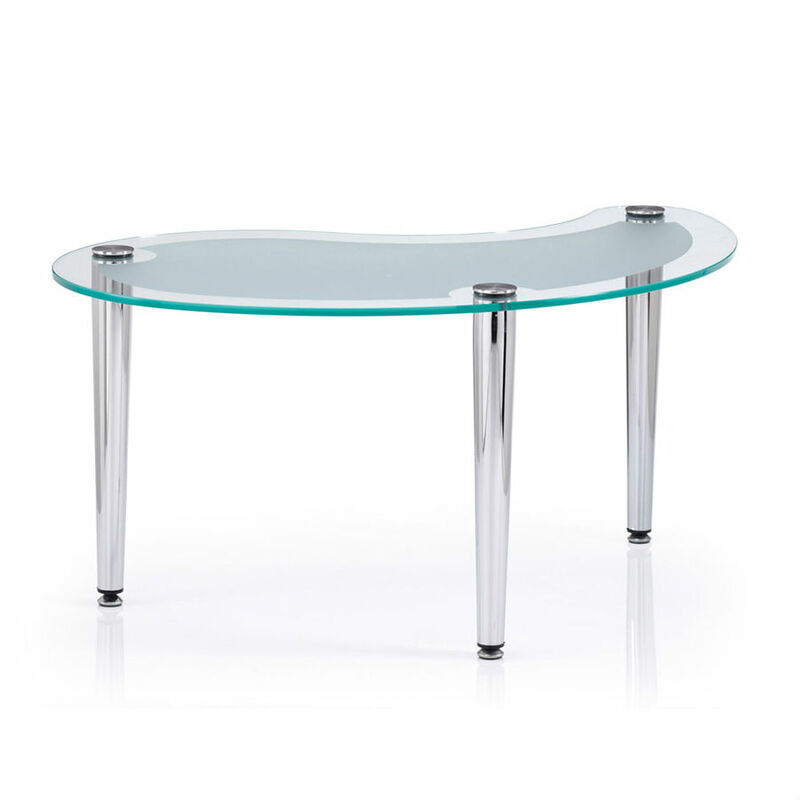 The GT table is styled in toughened frosted and clear glass with available options in a variety of shapes and heights such as a round, oval, kidney, square and rectangular. 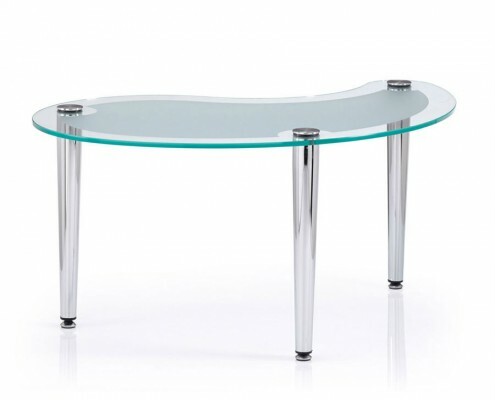 Chrome legs in a variety of styles with 5 year warranty. 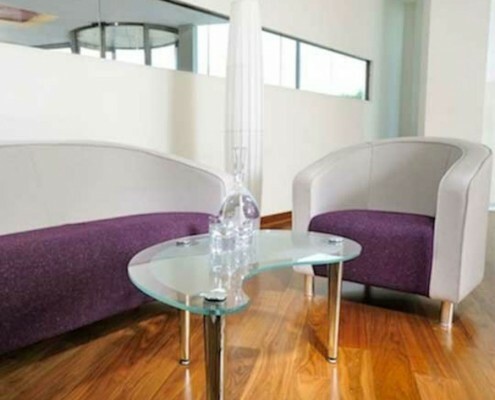 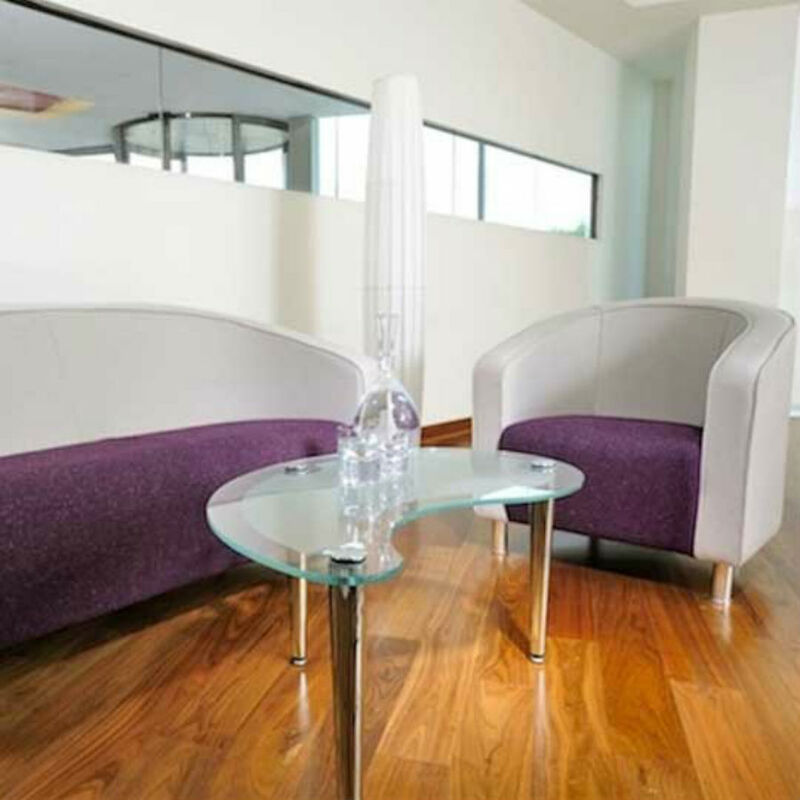 The kidney shaped glass table shown here is a design that is aesthetically pleasing in any reception area.